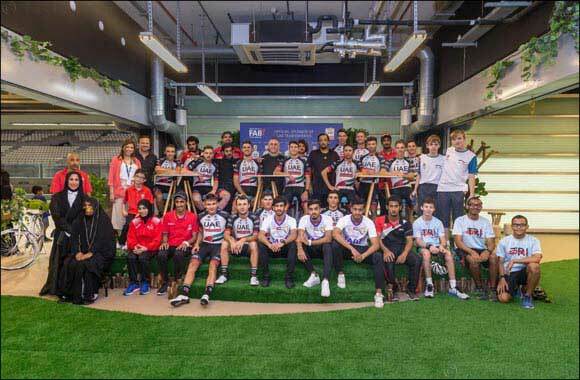 Dubai, UAE, October 30, 2018: Cyclists of all ages, abilities and fitness levels turned up at Yas Marina Circuit last night (Sunday 28th October) for the latest edition of ‘Cycle Unified’ and rode alongside members of the UAE National Cycling Team as a mark of unity and solidarity with all people of determination ahead of Special Olympics World Games Abu Dhabi 2019. Cycle Unified aims to break down barriers and promote social inclusion by having cyclists with and without intellectual disabilities ride alongside each other. The monthly event is part of the Special Olympics Unified Sports programme and is a key initiative of Special Olympics World Games Abu Dhabi 2019. The Local Organizing Committee of the upcoming World Games in Abu Dhabi is running several Unified events in the run up to the World Games and will soon be re-launching last year’s hugely successful Walk Unified initiative. Cycle Unified is open to the public and free to attend. Sessions will be held every four weeks from 6 – 10pm for the rest of the year; the next session is due to take place on Sunday 2nd December.